He’s easy to work with, so Steve enjoys long-standing relationships with a variety of political, corporate and arts organizations. His clients include The Strategy Group, for whom he photographs Democratic candidates in local, state, and national races; the law firm Burke, Warren, MacKay, Serritella, P.C. ; Opera News Magazine; and Chicago Shakespeare Theater. Corporations hire Steve for targeted photo needs (editorial or leadership portraits) and also look to him to communicate important moments in the life of the business—covering major corporate events. 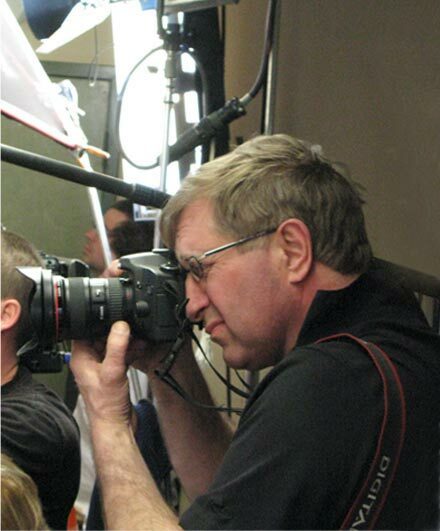 Steve’s skills as a photojournalist landed him an eight-year stint as the chief photographer for Crain’s Chicago Business, and he continues to be the go-to freelancer covering the Midwest for CN Railroad, Research Magazine, Directors & Boards Magazine and many others. He’s a five-time finalist for the Peter Lisagor Award for Exemplary Journalism. Chicago has been good to Steve, and he enjoys giving back. He has been a seminal member of the board of the not-for-profit Lincoln Park Conservancy, committed to the restoration and maintenance of historic Lincoln Park.